MOGADISHU/NAIROBI, Sep 12 2013 (IPS) - After his first year as president of the world’s most dangerous and failed state, Hassan Sheikh Mohamud is still grappling with limited financial resources, corruption, a lack of service delivery, and the ongoing assassinations of government officials, including attempts on his own life. There are also few essential services or healthcare facilities in the country, with most being provided by NGOs. For over 20 years Médecins Sans Frontières, or Doctors Without Borders, was one of the few providers of essential healthcare in Somalia. But in August it pulled out of the country after the murder and harassment of their staff made it increasingly impossible for the organisation to operate. “We have maintained security in all territories capture from Al-Shabaab, we are stabilising all regions in Somalia that we ousted Al-Shabaab [from]. However, Mogadishu’s seaport deputy director Abdiqani Osman Kabareto told local Radio Ergo in August that the seaport generates between four and five million dollars a month. However, Mogadishu’s Airport officials were not available to comment on their monthly revenue. The United Nations Development Programme estimates that 67 percent of the youth in Somalia are unemployed. More than half of Somalia’s 10.7 million people are under the age of 30. 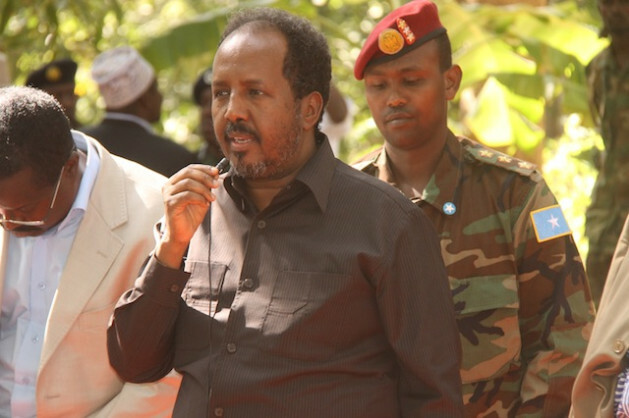 * The story that originally moved on Sep. 10, incorrectly quoted Abdi Aynte and Abdirahman Omar Osman as saying that Somali President Hassan Sheikh Mohamud failed to make progress in his first year in power. This story contains further comment from Osman about the government’s successes in its first year.